by Ted Tally, directed by Paul Ackroyd. In the winter of 1911- 1912 five Englishman and five Norwegians raced each other to the bottom of the Earth. Only the Norwegians returned. 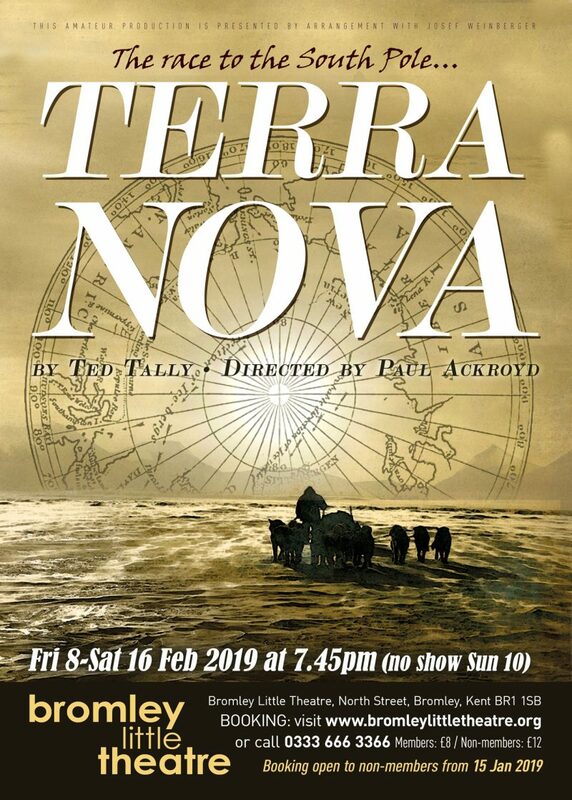 The play tells the story of the expedition led by Robert Falcon Scott which has become part of British folk history. The action moves backwards and forwards in time and between Antarctica and England. It shows not only the extraordinary courage and fortitude of the team battling against unimaginable conditions but also the very human emotions and motivations which drove them forward. It is a story which is both tragic and uplifting and has held sway in British imagination for over a hundred years and this play provides a novel and rewarding perspective upon it.